Few places in the world will you give the experience you will get from visiting Morocco. Maybe you heard it from a friend, or simply read it somewhere, you are now curious when you found out that Morocco is one of the few places that you absolutely must visit. If you start to plan for a vacation, the main thing comes into your mind that where to go. I think I have the answer for your question? 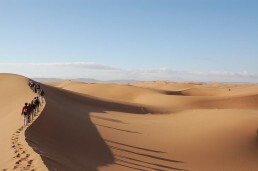 Morocco an incredible country with its heart-wrenching beauty shall make your vacation wonderful and exciting. Here are some toothsome reasons that would definitely make you think of spending your vacation in Morocco.